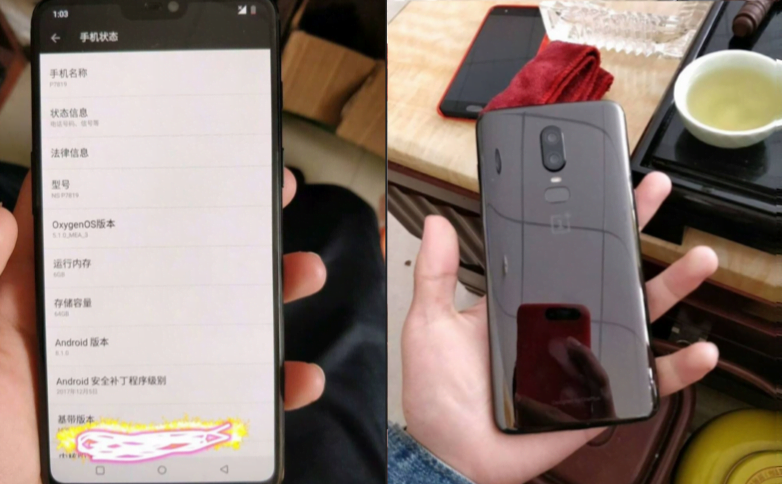 OnePlus seems to be tired of copying design elements from its parent company Oppo as a new render of the OnePlus 6 leaked today hints a new design, which is in-line with the first real-life images which were leaked a couple of weeks ago. Today’s render leak comes from the reliable Evan Blass who first conducted a Twitter poll whether to reveal the image of the OnePlus 6 or not. And not to my surprise, a whopping 90% people voted as to post the image. Well, the render is now out, and it shows that OnePlus is not following the footsteps of Oppo this time around and going with a ‘unique’ design for its upcoming flagship device. 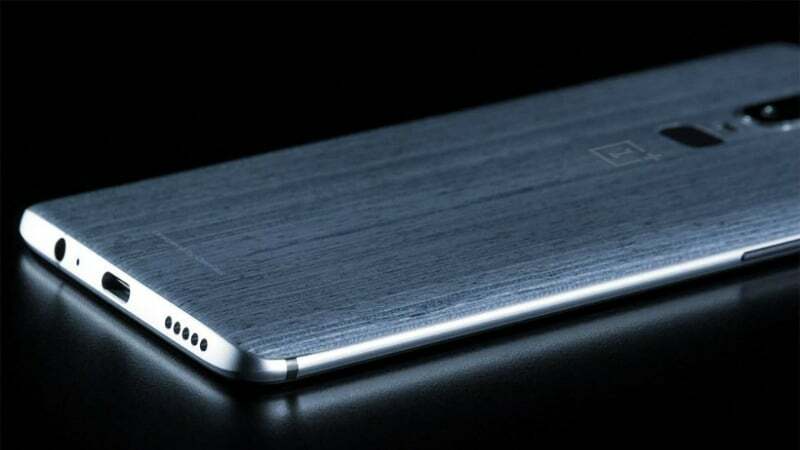 The render reveals the OnePlus 6 will have a 3.5mm headphone jack, USB Type-C port, a wooden back with ‘Designed by OnePlus’ written over it which is sort of a surprise, an oval-shaped fingerprint scanner and dual rear cameras (no surprises) here. The OnePlus 6, as per the render will retain the headphone jack. While every smartphone brand is ditching the 3.5mm ubiquitous connectivity port in favour of the infamous USB Type-C port, OnePlus is looking to retain it like Samsung. Beside the 3.5mm headphone jack, there’s a USB Type-C port, and the bottom looks pretty much similar to the earlier OnePlus devices. There’s a wooden back, which possibly is one variant of the OnePlus 6 like the last year’s Sandstone White OnePlus 5T. It has the ‘Designed by OnePlus‘ written to the bottom, for the first time, not sure why. Maybe the company is following the footprints of Xiaomi which writes ‘Mix, Designed by Xiaomi’ to the back of the Mix series smartphones. The OnePlus 6 will have a metal frame, but it might come with a glass back as per the previous reports. But this one seems to have a wooden back. The oval-shaped fingerprint scanner is something which surely will disappoint many out there as we all know how consumers criticised Samsung using that shaped fingerprint scanner on its Galaxy S flagship devices. But it seems to have the Ceramic shiny look below it as the scanner on the OnePlus 5T. Also, the dual rear camera module is visible too, but not evidently. There seems to be a minor bump to the rear camera. The OnePlus 6 is expected to flaunt a 6.23-inch Full HD+ notched display to the front, and it will surely be powered by the Snapdragon 845 SoC. OnePlus needs to heavily focus on the AI-based camera features and offering additional features such as wireless charging with the OnePlus 6 as top-tier brands such as HTC, LG are now coming down in terms of pricing. The OnePlus 6 is also expected to launch as early as next month. Definitely going to launch in April.all ready all 8gb 128 gone from shelff of Amazon and OnePlus.they can’t wait for 3 month like last time OnePlus 5t launched in June. OnePlus was picked out for privacy breach. Has this Chinese co. addressed this?